He was a mighty Scottish warrior who lived in a world bound by ancient laws and timeless magic. But no immortal powers could prepare the laird of Castle Brodie for the lovely accursed lass who stood before him. 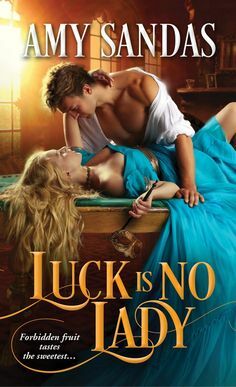 A terrible trick of fate had sent her 700 years back in time and into his private chamber to tempt him with her beauty—and seduce him with a desire he could never fulfill. For this woman he burned to possess was alsothe woman he had foresworn to destroy. Lisa is shocked when, at one of her two jobs, she ends up through her curse of curiosity persay, she ends up being taken back through time, 700 years in Medieval Scotland, with a sword being pointed at her throat. Definitely not what she imagined her day turning out. Circern, when seeing a woman appear before him holding the “flask” he knows he has to remember his vow, and destroy her, but he hesitates thinking that she could be a innocent.Lisa is determined to find a way back to her own time, because she has a mother that needs her more now than ever, and she has been taken away from that life and into a different one in the fourteenth century, yet feels a connection to to Circern. So through a series of events, Circern and Lisa end up being handfasted and a passion is awakened unlike anything either one of them has ever experienced before. Yet will they be able to find a way to have…..Forever? Lisa Stone, at age eighteen lost her father in a car accident, and leaving her mother crippled. which left all of her dreams going down the drain, and she ended up working two jobs. Five years later, her mother is dying from cervical cancer. Money is more tight than ever before. And just when she thought that things couldn’t get any worse she is thrust backward in time, seven hundred years in Scotland, in a bedchamber of a handsome but furious scot!! Lisa is deperate to return to her time but the more she spends in his arms, the more she comes to the realization of how close their intimate bond is becoming…and she never wants to lose him. The Highlanders Touch is the third installment in the Highland series by Karen Marie Moning. I haven’t read the fever series yet, but her highland series I have just fallen for completely. I have enjoyed each of her books in the series so far, especially since I love anything romances to do with the Scottish Highlands. One of the things I didn’t expect when I first started reading this one, was how emotional this book would become for the reader, from beginning to end the plot was filled with excitement, adventure and lots of romance. 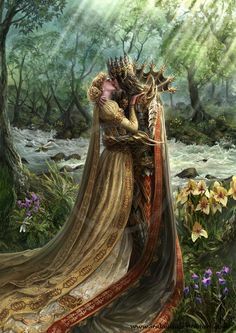 The relationship between the two especially at first is a bit rocky, but there is a connection between the two and we see the first seeds of their love for each other. I loved both of these characters, they were full of depth and likeable. There was also a level of emotion that is portrayed throughout the book, that will touch any reader deeply. I absolutely adored reading this, and was such a magical read!!! Live with me forever. Cease my endless solitude. I will cherish you. I will show you world you only dreamed of. I will walk beside you, hand in hand, until the end of days.